I have sold a property at 3308 GROSVENOR PL in Coquitlam. CHECK OUT OUR VIRTUAL TOUR! Beautiful View & Meticulously Maintained - Just move right in! This 6 Bedroom + Den & 4 Bathroom home with LEGAL SUITE has it all. Entertainer’s kitchen complete with granite counters, white cabinets, Stainless Steel appliances leads to Family Room, Eating Area & Deck with views towards the gulf islands. Formal Dining Room & Living Room are great sizes & perfect for entertaining. Master Bedroom on the main floor has walk-in closet & tastefully updated 5 piece Master Ensuite with soaker tub. Other feats include a Brand New Roof, vaulted ceilings & weathered oak laminate. Upstairs boasts 3 more large bedrooms, 1 bathroom + loft space. Downstairs has lots of storage space & a Huge Walkout 2 bedroom 1 bathroom suite for extra income. Close to everything including the Skytrain, shopping, schools & parks! Beautiful View & Meticulously Maintained - Just move right in! This 6 Bedroom + Den & 4 Bathroom home with LEGAL SUITE has it all. Entertainer’s kitchen complete with granite counters, white cabinets, Stainless Steel appliances leads to Family Room, Eating Area & Deck with views towards the gulf islands. Formal Dining Room & Living Room are great sizes & perfect for entertaining. Master Bedroom on the main floor has walk-in closet & tastefully updated 5 piece Master Ensuite with soaker tub. Other feats include a Brand New Roof, vaulted ceilings & weathered oak laminate. Upstairs boasts 3 more large bedrooms, 1 bathroom + loft space. Downstairs has lots of storage space & a Huge Walkout 2 bedroom 1 bathroom suite for extra income. Close to everything including the Skytrain, shopping, schools & parks! Beautiful View & Meticulously Maintained - Just move right in! NEW ROOF being added! This 6 Bdrm + Den & 4 Bath home has it all. 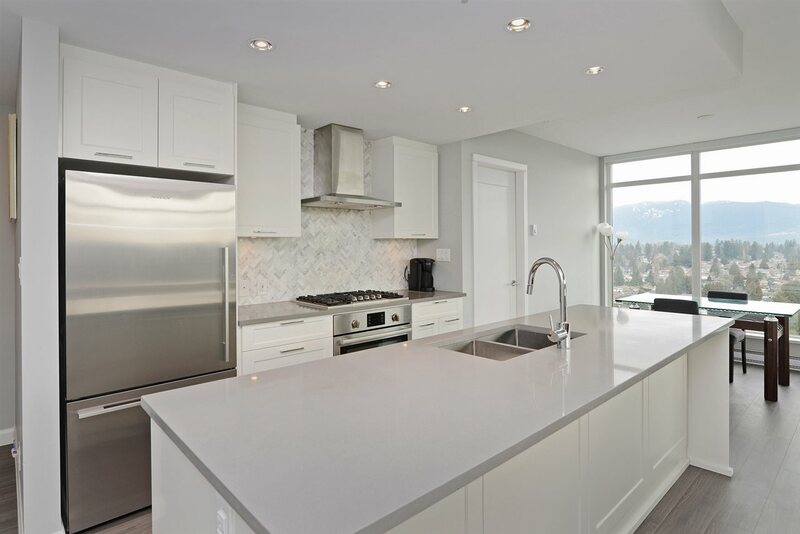 Entertainer’s kitchen complete w/ white cabinets, granite counters, S/S appliances leads into Family Room, Eating Area & Deck w/ views of Mt Baker & beyond. Formal Dining Rm & Living Rm are also great sizes & perfect for entertaining. Master Bdrm is on the main & has huge Walk-in closet & tastefully updated 5pc Master Ensuite w/ soaker tub. Other feats incl. vaulted ceilings & weathered oak laminate. Upstairs boasts 3 more large bdrms + loft. Downstairs has lots of storage space & huge walkout 2 bdrm + den & 1 bath suite for additional income. Close to everything including Skytrain, shopping, schools & parks! Check out the full 360 Virtual Tour! Beautiful View & Meticulously Maintained - Just move right in! This 6 Bdrm + Den & 4 Bath home has it all. Entertainer’s kitchen complete w/ white cabinets, granite counters, S/S appliances leads into Family Room, Eating Area & Deck w/ views of Mt Baker & beyond. Formal Dining Rm & Living Rm are also great sizes & perfect for entertaining. Master Bdrm is on the main & has huge Walk-in closet & tastefully updated 5pc Master Ensuite w/ soaker tub. Other feats incl. vaulted ceilings & weathered oak laminate. Upstairs boasts 3 more large bdrms + loft. Downstairs has lots of storage space & huge walkout 2 bdrm + den & 1 bath suite for additional income. 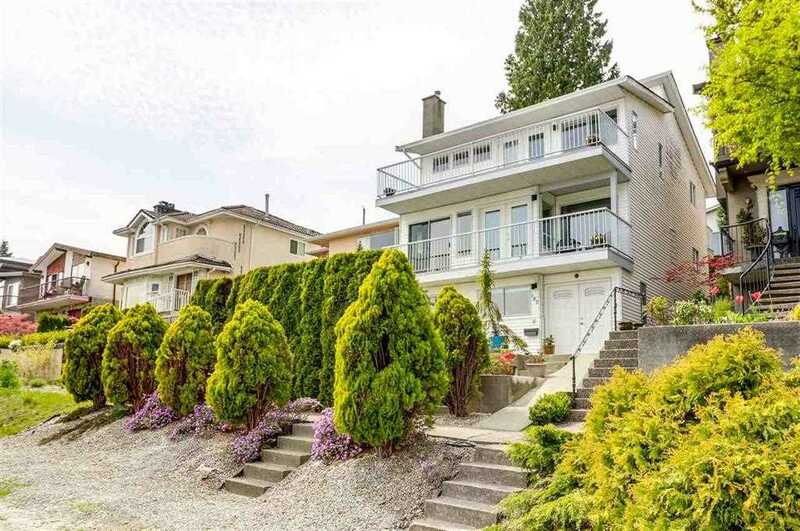 Close to everything including Skytrain, shopping, schools & parks! Check out the full 360 Virtual Tour!